Miromar Outlets features more than 140 top designer and great brand name manufacturers’ outlets, including Off 5th Saks Fifth Avenue Outlet, Escada Company Store, Ellen Tracy, Brooks Brothers Factory Store, Cole Haan, Perry Ellis, Polo Ralph Lauren, Nike Factory Store, Tommy Hilfiger, adidas, Reebok Outlet Store, Bose Factory Store, Lenox, Coach, Nautica and many more! By buying directly from the manufacturers, shoppers will find savings of up to 70% off retail prices! In addition to great savings and great selection, Miromar Outlets also offers great dining, with restaurants including Luna Rossa Italian Restaurant, LaBamba Mexican Restaurant, Luna Pizza, Key Western Grille, Asian Bistro, Subway and more! By buying directly from the manufacturers, shoppers will find savings of up to 70% off retail prices! 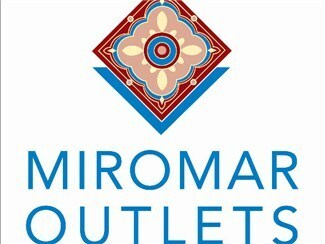 In addition to great savings and great selection, Miromar Outlets also offers great dining options.